For that one helicopter ride, to a hospital farther away in Bismarck, records show that Valley Med Flight charged Anderson $54,727.26. Sanford Health Plan, her insurance, paid $13,697.73. That left Anderson with a $41,029.53 bill. 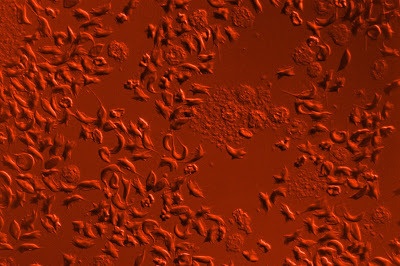 A slide of blood showing abnormal red blood cells (sickle cells). Note the bizarre shapes. 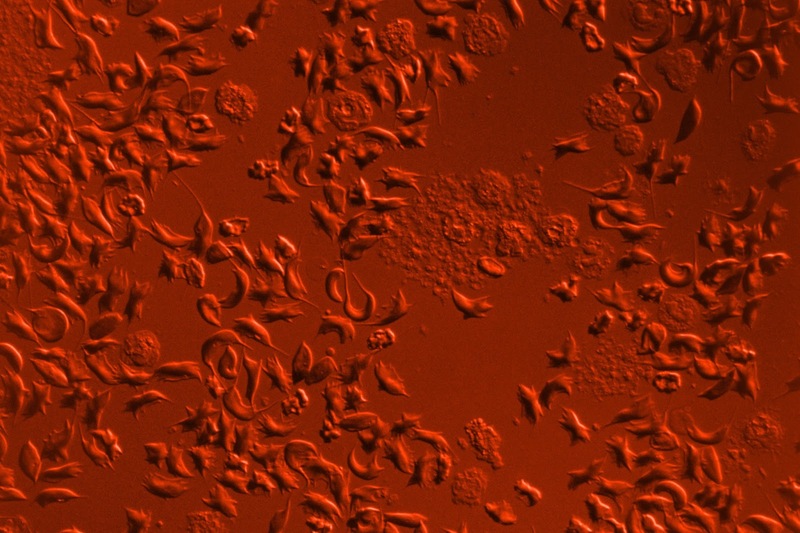 Normal red blood cells are round or spherical. This is caused by abnormal hemoglobin which interferes with the transportation of oxygen to the cells of the body. Employment can be difficult because the disease is debilitating. Yet many who apply for Social Security disability are denied, Dr. Tisdale said. 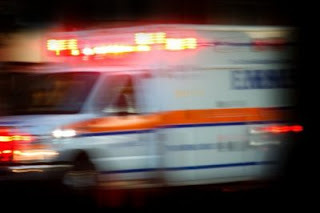 They end up at emergency rooms when they are in crisis. This article dates back to the dawn of electronic health records in 2009. Not much new today, 9 years later. Most medical practices utilize electronic health records despite being unrealistic, inefficient, and reducing physician time with patients. Most doctors spend their time gazing at a computer screen rather than engaging with their patient face to face. The feds accomplished their goal. to set up a system whereby they could extract data to analyze. I have yet to see any studies regarding the use of Electronic Health Records vs ballpoint technology in regard to changes in quality improvement. The shape of this article give one little hope for following any recommendations by the federal government. One thing is for certain, those physicians who advised our system were either ignored or they gave bad advice. WASHINGTON — In February 2009, as part of legislation to revive the economy, Congress provided tens of billions of dollars to help doctors and hospitals buy equipment to computerize patients’ medical records. But the eligibility criteria proposed by the Obama administration are so strict and so ambitious that hardly any doctors or hospitals can meet them, not even the most technologically advanced providers like Kaiser Permanente and Intermountain Healthcare. Doctors and hospital executives, who have expressed their frustration in meetings with White House and Medicare officials, said the issue offered a cautionary tale of what could happen when good intentions meet the reality of America’s fragmented health care system. The goal of the law is to provide financial incentives, through Medicare and Medicaid, to encourage doctors and hospitals to adopt and use electronic health records. When the bill was passed, the Congressional Budget Officeestimated that the incentive payments would total $34 billion. It is no surprise that tiny hospitals in the Midwest and doctors practicing by themselves would grumble about the White House proposals. But elite institutions have similar concerns. Among those expressing deep reservations about the proposals are pioneers in the use of health information technology like Kaiser, Intermountain, the Mayo Clinic and Partners HealthCare System in Boston, which includes Brigham and Women’s Hospital and Massachusetts General Hospital. One of most revealing assessments came from Dr. Thomas H. Lee, president of the physician network at Partners HealthCare. “We are very concerned about the requirement that hospitals and eligible professionals must meet each and every one of the objectives to demonstrate meaningful use and thereby qualify for incentive payments,” Dr. Lee said. In meetings at the White House, doctors and hospital executives have conveyed the same message: the president’s all-or-nothing approach could discourage efforts to adopt electronic health records because some of the proposed standards are impossibly high and the risk of failure is great. They pleaded with the administration to take a more gradual approach and reward incremental progress. At least 27 senators and 245 House members echoed those concerns in letters to the administration. Administration officials said they took the concerns seriously, but refused to say whether they would relax the proposed requirements. Anthony A. Barrueta, the vice president for government relations at Kaiser Permanente, said his company, the nation’s largest nonprofit health plan, had years of experience with electronic health records, but could not meet all the criteria for incentive payments. Doctors and Hospitals Say E-Record Goals Are Unrealistic - The New York Times: Critics say the Obama administration’s criteria for computerizing medical records are too strict and ambitious. And there’s this: Other than the uninsured and people who are out-of-network, few actually pay full charges.Whether you will be able to determine the best prices when you have a need for a hospital is another question. KHN senior correspondent Julie Appleby and California Healthline’s Barbara Feder Ostrov recently wrote about this new rule and found price lists befuddling to most anyone without an advanced medical degree. Transparent Hospital Pricing Exposes Wild Fluctuation, Even Within Miles | California Healthline: A new federal rule requires hospitals to post their prices online. These lists reveal the wildly different charges for basic procedures and services, but consumers will have a hard time putting this information to use. 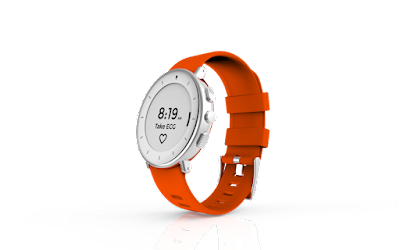 Verily, the Alphabet research division formerly known as Google Life Sciences, has received a 510(k) clearance from the FDA for its own clinical study smartwatch, complete with an on-demand ECG. But as a prescription-only device, it’s far from a competitor to Apple’s publicly availablesmartwatch. Verily’s Study Watch was first launched as an investigational device in April 2017 to help capture health information from participants in studies such as Project Baseline—a longitudinal venture by Google, Stanford Medicine and Duke University that aims to track 10,000 volunteers for four years using a variety of metrics. The FDA cleared a new version of the watch as a class II device for adults, including those with known or suspected heart conditions, for use as a single-lead ECG. 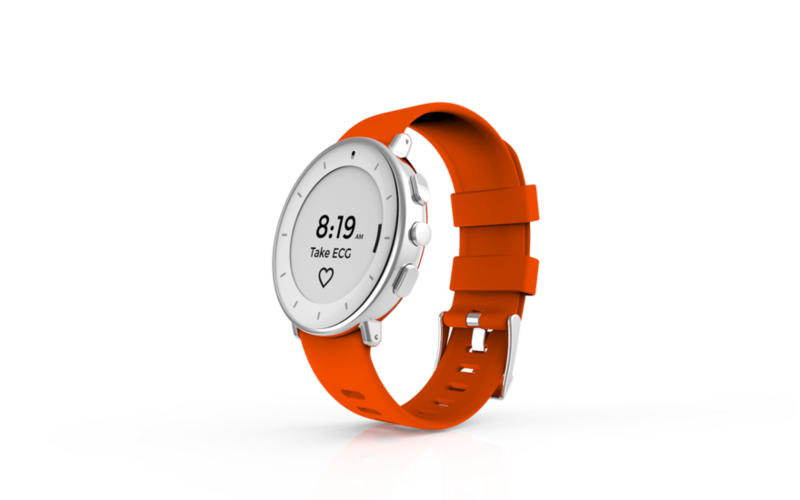 “One area of focus for Study Watch has been cardiovascular health, as heart disease remains the No. 1 killer of men and women in the United States,” Verily’s cardiovascular health innovations head, Michael McConnell, wrote in a company blog post. “This work may ultimately give us insights into the utility of integrating mobile health data into the clinical care environment, and how these data can support the physician-patient relationship,” McConnell said. Verily plans use both the investigational and the FDA-cleared versions in studies going forward. Verily recently announced a $1 billion investment round to catapult new global partnerships, business development and potential acquisitions. 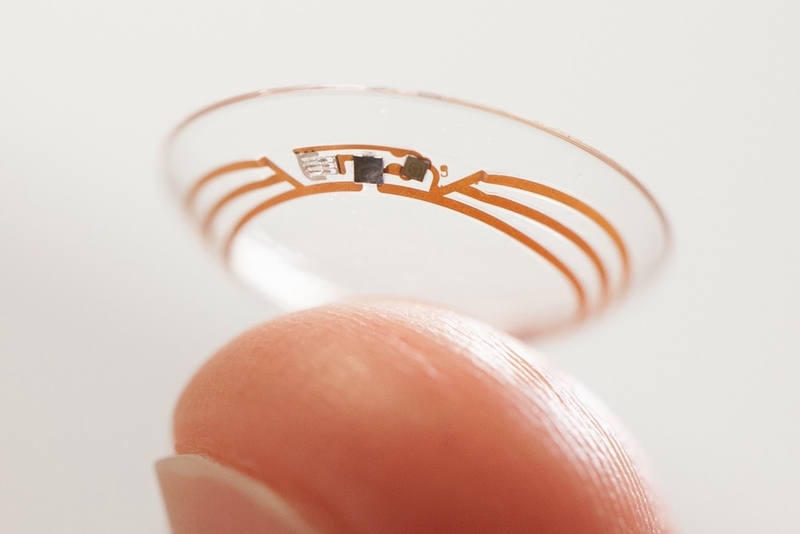 The glucose-sensing lens was one of Verily’s first projects, launched in January 2014. Since then, it’s evolved into an electronics platform mounted on a soft contact lens, capable of transmitting data using integrated circuits, sensors, batteries and wireless communication hardware, the company said. Our take-away for this device is that wearing a contact lens requires signifcant training, and for the inexperienced could lead to corneal infections. Diabetics are more prone to corneal ulcers. Technology is one thing, however assessing risks vs benefits are important. There are now skin sensors which accomplish this monitoring feature without the attendant risks of contact lenses. Skin monitors can also be easily attached to glucose infusion pumps. Access to health care providers is not only necessary in the U.S.A. but a necessity for many nations of the world. Access to affordable, effective health care continues to be a major concern for people around the world. But governments that adopt eHealth policies can find ways to use communication and technology advancements to help ensure more people receive better healthcare. Here, we look at government strides in adopting eHealth, the barriers to maximizing eHealth’s full potential, and what some countries have learned along the way. What is eHealth? Electronic health, or eHealth, represents information and communication technologies used by the health sector. These include electronic patient records, remote patient medical care through telemonitoring, and connecting with health practitioners over the phone through telehealth. How did it Start? The Internet There are concerns about the quality of health info patients can access, yet doctors are now realizing the Internet can assist them with their jobs. Patients’ access to internet searches increased their information, which changed their relationship with doctors and created a shift in the patient-provider dynamic. How Widespread is eHealth? A 2015 World Health Organization (WHO) survey revealed 160 WHO member countries have some form of universal health coverage, and 74% of these countries mention eHealth as a component. 153 countries have legislation protecting a person’s privacy data relating to their electronic health record, and 134 countries have a national eHealth strategy or policy. The survey also found that nearly 80% of healthcare organizations in WHO member states use social media to distribute their health messages. Additionally, the survey pinpointed telepsychiatry as the telehealth service that increased the most between 2009 and 2015. How eHealth Can Help Health care systems the world over are facing rising costs, system inefficiencies, access issues, and quality issues. However, these pressures are some of the issues eHealth initiatives aim to solve. These initiatives strive for this goal through many ways. Digitizing personal health information helps build more complete histories. The creation of electronic health records can also make it easy to share patient data between systems. eHealth can also empower patients with their own electronic records and can also be used to implement various telehealth and home health options to improve chronic disease management. The process of adopting eHealth initiatives is not without its core challenges. These include insufficient communication of eHealth goals, concerns regarding system standardization, and a current lack of governance and funding. WHO has also tied the implementation of eHealth to a goal of achieving universal health coverage in remote and underserved communities. However, this takes a lot of work. Some of the Challenges Facing Specific Types of eHealth Telehealth Telehealth uses information and communication technologies to provide advice and reminders, handle remote admissions, and remotely monitor patients directly and remotely. It allows specialists to see more patients, and it makes it easier for remote patients to get services. 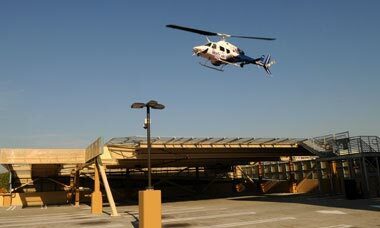 It can also help cut costs linked to hospital visits and can lower the number of patients that need emergency transfers. There are several challenges to implementing telehealth. These include insufficient system development funding, inadequate equipment and internet-related infrastructure, a lack of synchronicity between health system priorities, and a lack of regulatory guidance. eLearning Programs These health care training models are conducted online. This helps circumvent potential shortages in necessary instructors, bridges skills gaps amongst some workforces, and makes it possible for isolated care providers to receive needed training. However, there’s a hesitancy to move to less conventional teaching methods, as well as concerns around the existence of suitable eLearning programs. There are also challenges stemming from an HR and funding perspective. Mobile Health This concept utilizes mobile phones, personal digital assistants, and other wireless devices for public health services. It doesn’t require much infrastructure, and it’s cheaper than in-person services. Plus, several low- to middle-income countries still have high cellphone subscriptions. The challenges facing this concept include the cost and functionality of different plan types, as well as insufficient network infrastructure in some places. There are also questions concerning some patients’ digital literacy and the relevancy of the health content. The concept itself is also not always accepted culturally or socially. The Need Ultimately, the key to overcoming these challenges is to treat eHealth as a key part of health planning, and not just as an add-on. After all, a trained workforce proficient in eHealth systems can provide proper leadership and oversight to others. How eHealth is Being Used Globally While there are several challenges to eHealth program implementation, that’s not stopping countries and regions from investing in the concept. The U.S. has contributed the most, followed by the EU, Canada, Japan, and Latin America. One of the biggest ways eHealth is being used is text messaging. For instance, the Stockholm-based blood donation service Blodcentralen uses texts to retain and build its donor pool. They also send out “thank you” texts every time donated blood is used in patient treatment, something that helps people to continue donating. How Some Countries Facilitated the Spread of eHealth England contributed £6 billion to eHealth over a 10-year period with an emphasis on regional deployment. The investment yielded positive dividends relating to data sharing and data entry protocols. However, they realized that clinical implementation and regional-centric adoption is tricky. They also learned sharing health records is ineffective. Canada created a federally funded organization to establish an eHealth blueprint that allowed for regional governance, the establishment of standards, and a focus on electronic health records, telehealth, public health surveillance, and various health systems. The program helped them focus on funding eHealth-related projects, initiatives, and models. Their approached also revealed insufficiencies with record integration, program standardization, and underfunding. The U.S. contributed $30 billion for a host of eHealth-type programs and provided financial incentives for providers who used IT in a “meaningful” way. This program helped to establish Funding Regional Extension Centers to implement this meaningfulness, and it allowed them to acknowledge the need for training, education, and communication to properly adopt eHealth initiatives. Along the way, they learned lessons regarding system connectivity and post-funding support – lessons that can also be learned from observing other countries’ successes and failures. Ultimately, as more countries look to eHealth to provide better healthcare, we’re getting a better sense of what does and doesn’t work. What’s clear is that the health sector has plenty to gain from relying on information and communication technology advancements. Early success stories show that comprehensive strategies, good education and training, and careful program monitoring to see what works and what doesn’t are critical to making the most of what technology can offer. In the last decade, specifically in the last five to six years, we have seen the gradual disempowerment of America’s physicians as well as their unfortunate patients. Starting with health management organizations, managed care, all the way to the insurance exchange, doctoring has been forcefully wrestled away from physicians only to be placed into the hands of large insurers, administrators and the United States government. The common denominator was never about improving the quality of care for the American people but rather an obscene money-grabbing agenda by the above powers that be and the pharmaceutical industry. The writing was always on the wall as physicians’ incomes were and constantly are chiseled away as health insurers and pharmaceuticals continue to explore their limitless profits. It’s evident that physicians whose incomes were strapped, whose costly and highly burdensome administrative responsibilities they were unwittingly strapped with, had no choice but to flee private practice and work for huge conglomerates including hospitals. This further added to their unsurmountable stress levels causing many to exit their professions, experience burnout and even attempt and often succumb to suicides. Sadly, the Health Train has left the tracks. Health Train was derailed several times during the past decade, sabotaged by health payors, and government regulation. It picked up speed with constant changes in direction, lack of an engineer, and a motivation to save money by going to fast and for too long. Like many physicians I have been in the cross hairs, an unwilling target for unrelenting pressure on my practice and others. Gone are the Wednesdays off for golf. The health insurance and pharmaceutical executives would soon pick up the battered physicians clubs and golf memberships at a mere fire sale. Gone are the days when physicians would be called “doctors” instead of “providers” and with it the respect that was once ascribed to the title. Gone are the days when a physician can direct the care of the patient or prescribe a medication or service(s), they deemed necessary. Even their prescription pads have lost most of their value as once any prescription reaches the pharmacy it will mostly join the lot of those that will not be covered by insurers. Gone are the days where health insurance had a certain value. Instead, the ever limiting and continuously more expensive and less valuable commodity has become the new descriptive of having but a false security crutch called health care coverage. physicians. And has, in my opinion, resulted in increased national morbidities and mortalities over the past two years. Please don’t try to convince me of the media-propagated “culprit” being only the opioid epidemic or the increase in suicides that have caused a precipitous increase in mortality and a decline in the health of our nation. If you throw in an average of 400 or more annual physicians’ suicides, it still won’t account for the real culprit. Gone are the days when physicians have had the luxury of utilizing their scrupulous and meticulous clinical skills of observation. Instead, cookbook guidelines have now become the puppet masters of our national flock of sheepish physicians. I will never forget in one of my first lessons in anatomy during medical school how the importance of “the spirit of observation” is. This article is written with the same “spirit of observation” although my observations have become those of incremental disenchantment and that of a disheartened physician. Gone are the days when patients would actually have adequate hospital stays. Insurers made sure of that. Gone are the days when patients would be cured of infections, instead of being kicked out of hospitals prematurely and bringing these agents to their communities, nursing homes, and rehabilitation centers. It is now a quite common corridor these agents have been given the luxury to become resistant, and I believe jumping on a brand-new bandwagon of further increasing our national mortalities. Gone are the days of reasonable doctor visits and drug co-pays. Instead, copays have now spiraled in sync with unaffordable and growing premiums inversely proportional to the value they bring. Gone are the days of visiting an emergency room where your immediate illness was their priority. Instead, you will first be required to pay a copay. I’m uncertain what will happen to you and the consequences of this if you do not. Gone are the days where you could visit a physician without that physician having to worry about your insurance. After all, neither insurance companies, the government or pharmaceutical companies will ever give you anything for free, let alone affordably. Instead, they have encouraged “minute clinic” and the like in drugstores, where a nurse practitioner — and I am confident, soon, a pharmacist — will be gladly doling out medical advice which will further increase morbidities and mortality. Of course, these alternate quick fix options of the poorest quality will save insurers a couple of bucks in the short term. But what is less obvious is that they have put your life on the line to achieve it. If you take all that is gone you might rightfully ask what is left? What’s left is certainly not a pretty picture for patients, burned out physicians and our nation’s families at ever-increasing risk. Physicians’ voices have been drowned out, their plights buried, leaving their patients helpless — all the while as marketing and media have painted a desirable picture of what is in actuality a gray and gloomy disaster waiting to self-destruct. Where is this all heading? It appears that once the nation will no longer put up and won’t be able to afford further being ravaged by these powerful entities, the latter will never have to worry about counting their loses. It will be our nation and its burned out physicians who will be too busy and distraught doing just that. By estimating how many Canadians receive health care outside the country each year, and the type of care they receive, we gain some insights into the state of health care and medical tourism. Canadians who choose to seek treatment abroad do so for several reasons, many of which may relate to their inability to access quality health care in a timely fashion within Canada’s borders. Some patients may be sent out of country by the public health care system due to a lack of available resources or because some procedures or equipment are not provided in their home jurisdiction. Others may choose to leave Canada because they are concerned about quality (Walker et al., 2009) and are seeking more advanced health care facilities, stateof-the-art medical technologies, or better outcomes. Others may leave in order to avoid some of the adverse medical consequences of waiting for care, such as worsening of their condition, poorer outcomes following treatment, disability, or death (Esmail, 2009; Barua et al., 2013; Day, 2013). Some may leave simply to avoid delay and to make a quicker return to normal life. While there is no readily available data on the number of Canadians travelling abroad for health care, it is possible to produce an estimate of these numbers from data gathered through the Fraser Institute’s Waiting Your Turn survey and from the Canadian Institute for Health Information (CIHI), which tallies the numbers of procedures performed in Canada. Across Canada, otolaryngologists reported the highest proportion of patients (in a specialty) travelling abroad for treatment (2.1%), while the lowest proportion of patients (in a specialty) travelled abroad for ophthalmology (0.8%) (see table 1). Combining these percentages2 (table 1) with the number of procedures3 performed in each province and in each medical specialty gives an estimate of the number of Canadians who likely received treatment outside the country. Table 2 indicates that a significant number of Canadians—an estimated 63,459 people—may have received treatment outside of the country in 2016. This is a significant increase from the 45,619 who were estimated to have travelled abroad in 2015 (Barua et al., 2016) and also higher than the 52,513 who were estimated to have travelled abroad in 2014 (Barua and Ren, 2015). Increases between 2015 and 2016 in the estimated number of patients going outside Canada for treatment were seen in seven provinces: British Columbia (10,315 to 15,372), Alberta (4,616 to 9,067), Ontario (22,352 to 26,513), Manitoba (702 to 2,052), Quebec (3,360 to 4,603), Saskatchewan (from 712 to 1,888), and Nova Scotia (1,466 to 2,438). Conversely, in that period there was a 2 Readers should note that this calculation uses the exact values, not the rounded values that appear in table 11 in Barua and Ren (2016). 3 Data are for 2014/15 from the Discharge Abstract Database (CIHI, 2016a) and the National Ambulatory Care Reporting System (CIHI, 2016b), and the Hospital Morbidity Database (HMDB) (CIHI, 2016c). For further details see Barua and Ren (2016). decrease in the estimated number of patients who received treatment outside Canada in Newfoundland & Labrador (from 1,151 to 669), Prince Edward Island (52 to 7), and New Brunswick (894 to 851). These numbers are not insubstantial. They point to a sizeable number of Canadians whose needs and health care demands could not be satisfied within Canada’s borders. There are a number of possible reasons why this may have been the case. Some patients may have been sent out of country by the public health care system due to a lack of available resources or the fact that some procedures or equipment are not provided in their home jurisdiction. 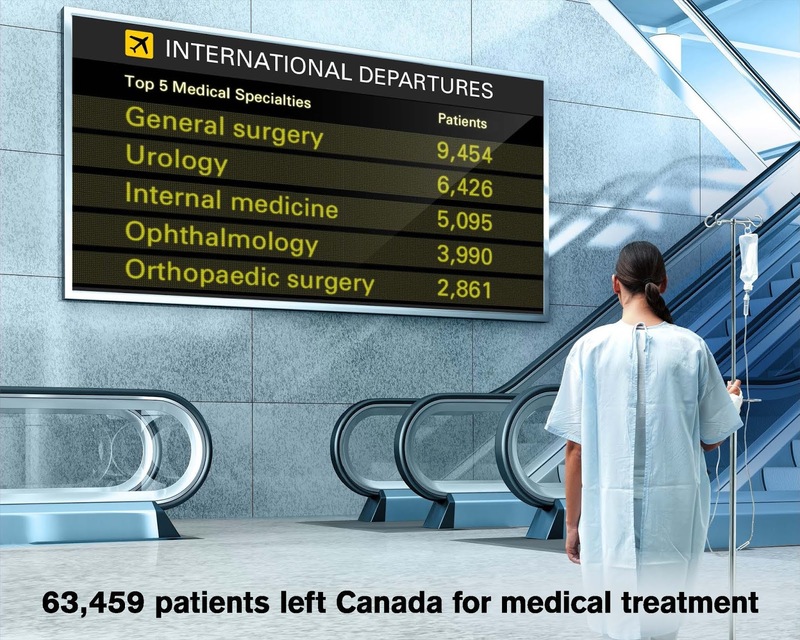 Others may have chosen to leave Canada in response to concerns about quality (Walker et al., 2009), seeking more advanced health care facilities, more state-of-the-art medical technologies, or better outcomes. Another explanation may relate to the long waiting times that patients are forced endure in Canada’s health care system. For example, in 2016, patients could expect to wait 10.6 weeks for medically necessary treatment after seeing a specialist.6 This wait time (which does not include the 9.4 week wait to see a specialist) is almost 4 weeks longer than what physicians consider to be clinically “reasonable” (7.0 weeks). Thus, it is possible that some patients may have left the country to avoid some of the adverse medical consequences of waiting for care, such as worsening of their condition, poorer outcomes following treatment, disability, or death (Esmail, 2009; Barua et al., 2013; Day, 2013). At the same time, others may have left simply to avoid delay and to make a quicker return to normal life. OxyContin maker Purdue Pharma reportedly owes $7 million to the state of New York, under a new law that assesses opioid sellers $100 million annually over six years. The ongoing opioid crisis now takes to the streets in addition to the efforts of the DEA and other federal agencies. Re-educating physicians has been a major component of this effort with ongoing continuing education. Many physicians will refer patients immediately to pain specialists when the initial pain control methods fail. Typically early pain specialists were anesthesiologist who use pain control methods as an outgrowth of their specialty, anesthesiology. Now primary care physicians are engaged in learning the specific skills for pain management in lieu of opiods. These include nerve blocks, topical agents, physical therapy, mindfulness and other modalities. Al of these interests have been provoked by the increasing number of opiod related deaths. The protestors know the firm is not about to face a reckoning in the streets. If it happens, it would likely take place in the judicial system.Stamford-based Purdue Pharma and other companies have sued, the Wall Street Journal reported, arguing New York’s new Opioid Stewardship Act penalizes them unfairly for distributing legal pharmaceuticals. 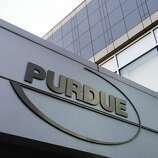 In additional news Purdue Pharmaceuticals has faced demonstrations by family members of victims of Oxycontin overdoses. Research has confirmed the long-held belief that you’re only as old as you feel. Studies have shown that as people age, they identify less and less with their actual ages. Feeling more youthful can have protective effects against depression, dementia and more. People with friends from different generations tend to feel younger than those whose friends are all their age. Younger friends may help you try new things or challenge long-held beliefs. Older friends can serve as role models for aging gracefully. Find a young person and ask them to mentor you on using the internet, smartphones, cutting loose from your cable provider, the internet of smart things. Being mindful can help you improve your mental and physical well-being. You don’t need to meditate to reap the benefits; just spend more time being in the moment. “Don’t so much focus on your years; put more focus on what you love to do,” Nelson says. “Find something that really, really turns you on, and go for it with every ounce of your being.” You may find old passions in your memory of things you used to do in your youth. Now is the time to reach back and bring these things to the present. You will be surprised to find how your old hobby has morphed into the digital age. Ways to Embrace Aging in This Youth-Obsessed Culture: American culture values youth and beauty over age and experience. Here are some ways to counter that and feel good as you get older. The Integrated Healthcare Association announced Tuesday the debut of a one-stop digital portal where health-care practitioners and insurers can update information for online consumer directories. Leaders say it will cut down on the time and costs of meeting state mandates for accuracy. If you are a typical patient you have gone to your provider directory, or your hospital's physician directory, or you searched Google, WebMD, or Healthgrades search and found a doctor you want to see. You call the office and find out he/she is not a provider for your plan, even if he/she is listed in the plan directory. I often run into this problem. It defies a simple solution until now. Directories are prepared once a year or at the best quarterly. 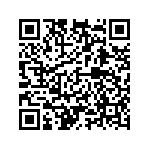 Since the dawn of the HIT evolution these directories can be updated now in near real time. It says a doctor is accepting Medicare patients. Not! Or, it says an obstetrician is accepting new patients. Nope! Errors in medical directories are common all around the United States. In fact, the U.S. Center for Medicare and Medicaid Services reviews directories for a third of its Medicare Advantage plans every year. Between November 2017 and July 2018, it found that 48.7 percent of directories had at least one error. That figure has hovered close to 50 percent over the last three years.Such errors will significantly decline in California, leaders of a key health care industry trade group said Tuesday, if providers and health plans adopt a one-stop digital shop that the organization developed in collaboration with insurers, providers, suppliers and other key stakeholders. The Integrated Healthcare Association announced the debut of its Symphony Provider Directory, which will allow health care practitioners to access a dashboard where they can update all their information and submit it to all insurers at one time. Insurers, on the other hand, will be able to easily import those updates for all their system providers. The online system was developed with a $50 million payment from Blue Shield of California, funds that the insurer said it would provide as part of an agreement it negotiated with the California Department of Managed Health Care to be able to acquire Care1st Health Plan. New portal aims to make it easier to find a doctor | The Integrated Healthcare Association announced Tuesday the debut of a one-stop digital portal where health-care practitioners and insurers can update information for online consumer directories. Leaders say it will cut down on the time and costs of meeting state mandates for accuracy. The most deceptive part of this government mandated price listing is that it only applies to the uninsured patient. That’s because the price lists displayed this week, called chargemasters, are massive compendiums of the prices set by each hospital for every service or drug a patient might encounter. To figure out what, for example, a trip to the emergency room might cost, a patient would have to locate and piece together the price for each component of their visit — the particular blood tests, the particular medicines dispensed, the facility fee and the physician’s charge, and more. Medicare, Medicaid and most insurers are contracted with hospitals for a much lower payment despite being billed by the hospital for greater amounts. These discounts can approach 50% . The average patient can review on their explanation of benefits what the hospital, or any provider billed, and what the insurer (or plan) actually pays. Health insurance plans have always looked at hospital charges and provider charges as inflated. This thinking was during the time when Medicare and most insurers paid 80%, providers and hospitals hedged the system by charging more each year. Medicare set their rates according to what the provider charged their first year of practice. Medicare no longer does this because it encouraged inflation with each new generation of providers. Today's revenue cycle management is unrecognizable prior to that of 1973 , when Congress passed the HMO ACT allowing contractual agreement by physicians with insurers, eventually leading to capitation and prepaid agreements. The Health Maintenance Organization Act, informally known as the federal HMO Act, is a federal law that provides for a trial federal program to promote and encourage the development of health maintenance organizations (HMOs). The federal HMO Act amended the Public Health Service Act, which Congress passed in 1944. 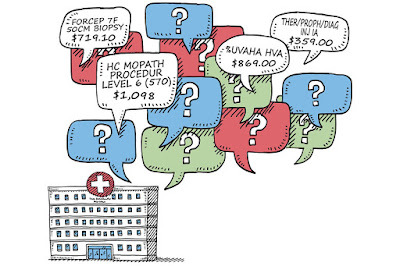 As Hospitals Post Sticker Prices Online, Most Patients Will Remain Befuddled | California Healthline: The new rule took effect Jan. 1 but, for consumers seeking hospital price information, using it to find answers may be like searching for a needle in a haystack. To be clear, this is not the first act in this Congressional scam. True insurance got more difficult to buy after Congress favored first-dollar health plans with the HMO Act of 1973. Most employers were forced to offer HMO plans. Like the frog being slowed cooked, people began to think of prepaid health care (HMO/health plans) as health insurance when it actually was a corporate version of socialized medicine with centralized pooling of dollars and centralized control over medical decisions. "Many health plans are smiling. We’ve essentially been forced by Congress to buy their catastrophic policies at first-dollar coverage prices. But because many Americans don’t remember catastrophic policies or know what real insurance is or how much insurance should cost—or how low cash-based medical prices could be—they don’t know how badly they’re being scammed. BOATLOADS OF CASH - 98% of all new spending in Obamacare—$1 trillion—goes to health plans through the Obamacare exchanges. FEWER BILLS - Deductibles are huge, so health plans in the exchanges won’t have to pay most health care bills. REDUCED COMPETITION – True catastrophic policies were outlawed for people over age 29, forcing many traditional health insurers to stop offering their policies or go out of business. CONTROL - Although the ACA requires health plans to spend 80% - 85% of premiums on medical care, corporate data systems and intrusive analysis that are used to limit care have been defined as “medical care,” decreasing the amount of money health plans must spend on actual medical care provided to patients and allowing them to use premium dollars to control doctors. COERCION - Americans are forced to buy the insurer’s product or pay a “shared responsibility payment” (penalty tax)—unless individuals claim an exemption (22 so far). PRICY PREMIUMS - Premiums paid to Obamacare-approved health plans are high because people are forced to pay for services they will never use. BAILOUT - Insurers are shielded from the insurance risks of people with pre-existing conditions (or lack of enrollment in Obama’s exchanges) by a three-year taxpayer-funded bailout plan. DOLLAR GRAB - A federal ACA “risk adjustment” program allows health plans with sophisticated data systems to annually claim “sicker patients” and strip premium dollars from smaller health plans that are less tech-savvy." Visit www.JointheWedge.com website for more details. 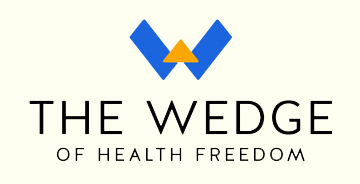 Also explore The Wedge Facebook and Twitter pages for regular updates!